First of all, welcome to the new site and the new blog! I'm excited about the official launch of Conatus Surf Club as private lesson and coaching business and as a brand. I would not be able to do it without the amazing support from my family, friends, and current and former students. Thanks to you all for believing in my vision and keep the stoke alive and burning. I’ve been thinking a lot lately about how I am very grateful that I have kept surfing in focus over all of these years. There were times when I was bewildered with the surf industry and with trying to fit myself into it, but that didn't stop me from honing this passion I have for teaching people how to surf and for making inroads towards a more flourishing and inclusive surf community. New connections and collaborations are around every corner. Take for example the weekend of April 26-27. 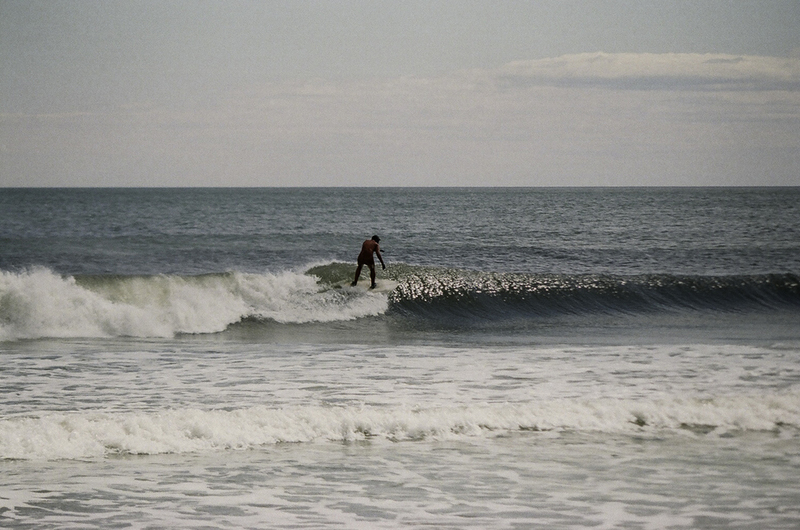 I surfed with my friend, Ben, on Saturday—small, clean offshore little peelers. Ben's a classically trained musician who has fronted a shoegaze band and he also djs. On our ride to the beach we chatted about possible soundtracks for surf videos and how to get cheap shipping on California boards—you use Amtrak! Who knew? Ben apparently. The lesson on Sunday was fantastic. Better waves than Saturday actually. The weather was in the high 60s, the sun was out again, and the wind had that sweet NW flow that NY loves. My student, let’s call her F, arrived with her husband. 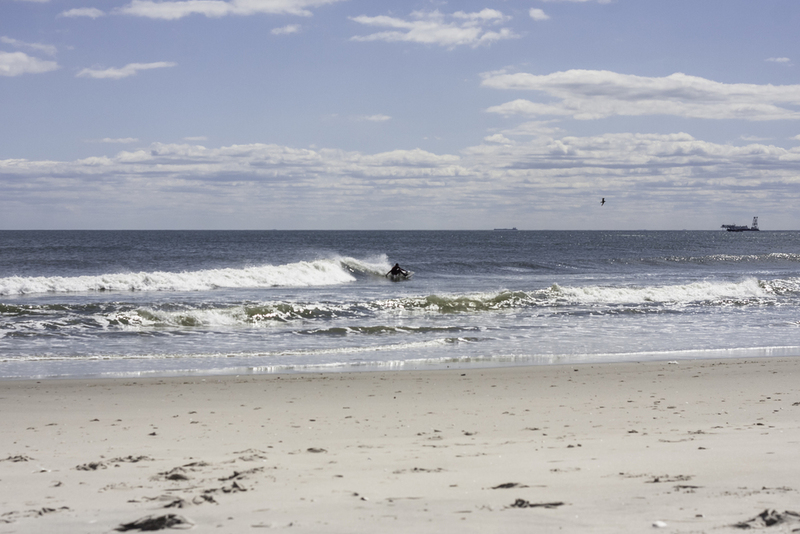 He took photos on the beach while she learned the fundamentals of surfing out in the water. F caught three waves to the beach and everybody had a great time. After the lesson, I got to surf/shoot photos with a talented kid from Crete named Manny. 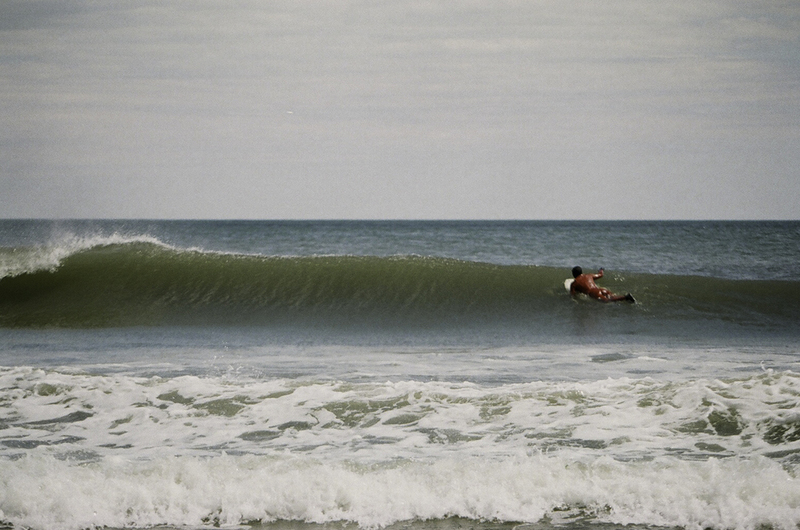 We'd met through a mutual surf friend named Sam, a hard charging goofyfoot fond of Stoker V-Machines from Cape Cod. Manny took the A-train and met me at 69th Street. The lineup had cleared out and there were still a few fun peaks pumping in from the leftover windswell. Manny shot for about 30 minutes with both film and digital and then came out and glided a few. Dude has a knack for timing, light, and riding backwards. On the way back we swapped zany surf stories. Check some of Manny’s choice shots here and expect more of his snaps in the future. Follow him on Instagram: @manny_mandog.